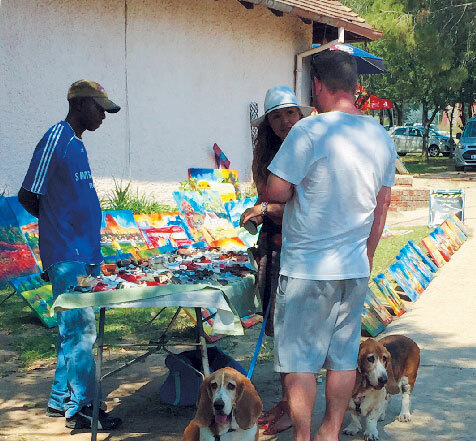 Riversands Farm Village Market is the perfect family day out. Unlike the other hip Jozi markets, like Neighbourgoods or Fourways Farmers Market, it offers ample space and country air where elbow-bustling and seat-searching are not on the menu. It’s old-school, retro, a bit hippy and nostalgic. 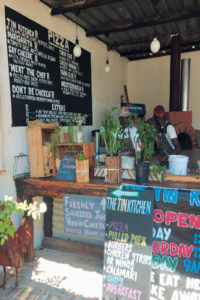 The farm’s history began in 1947 when Granny LeMay sold her home-made chicken pies on the side of what was then a dirt road – William Nicol Drive. Over time, the farm grew into one of the first free-range chicken farms in SA; but, with the growth of Fourways, the animals were moved on and the face of the farm changed. Scattered throughout the market are a variety of stalls selling everything from repurposed old furniture at Nostalgic Stuff, to art and handmade clothes, vintage posters, jewellery and, because today is for the fur babies, doggie delights galore. There is also a variety of ethnic fare on offer – from samoosas at Indian Delights and Edelweiss Caterer’s German grub, to Low & Slow’s smoked ribs and tacos. 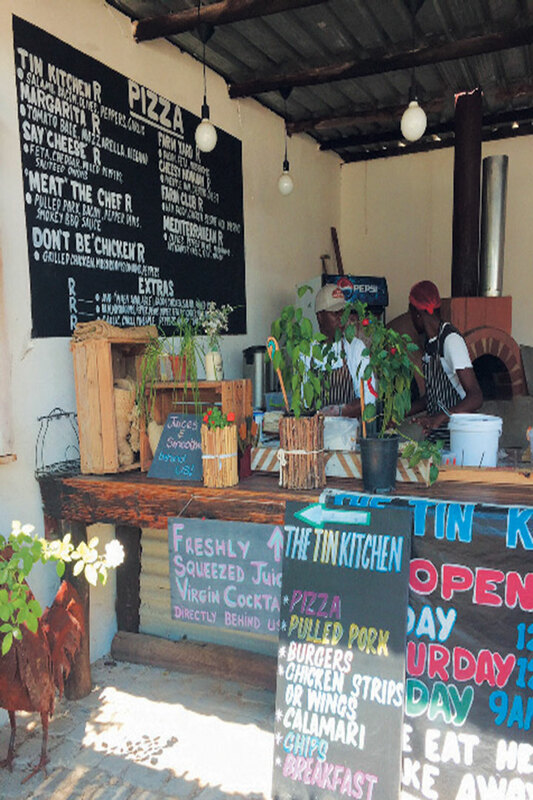 Most of the stalls are housed in corrugated-iron stands, enhancing the farm-style appeal. Towards the end, we find a little farmyard where a black pig, Charlotte, snuffles in the dirt and rabbits bounce about. A sign on the fence reads: ‘Beware of the vampire bunnies’, as they may nibble on little fingers poking through the fence. We stumble across The Pancake Pantry, offering the ideal treat for a Sunday morning. I settle on a caramel and- banana pancake, while my hubby opts for a Nutella and peanut butter one. I wash it down with a watermelon-and-mint juice from Fresh & Wild. 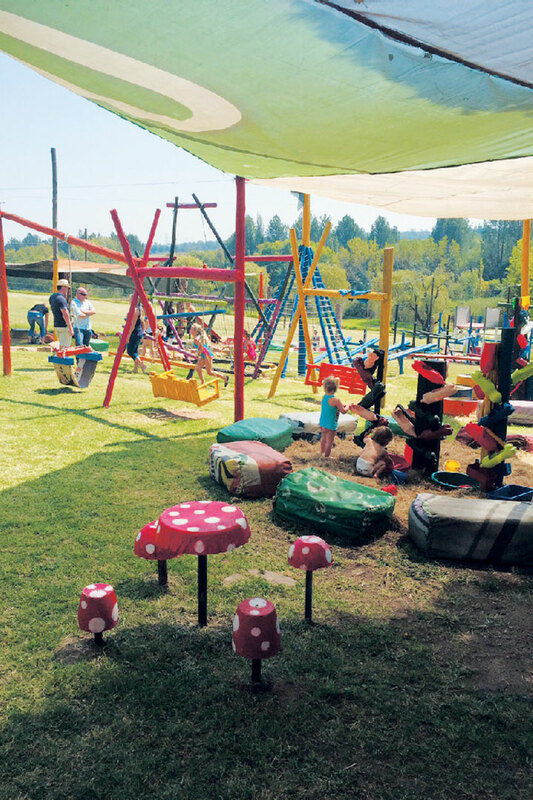 Our toddler soon spies the play area and, for a R40 fee, you can enter their wonderland for littlies. 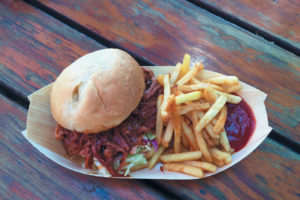 Lunchtime arrives and we choose tasty BBQ-style pulled-pork burgers and calamari strips from The Tin Kitchen, finished off with a drink from Art in a Glass Tap House. The market is busy now – people are spread out at tables and clever ones have brought picnic blankets to enjoy the setting.